MAIT cells are present in GVHD target organs. 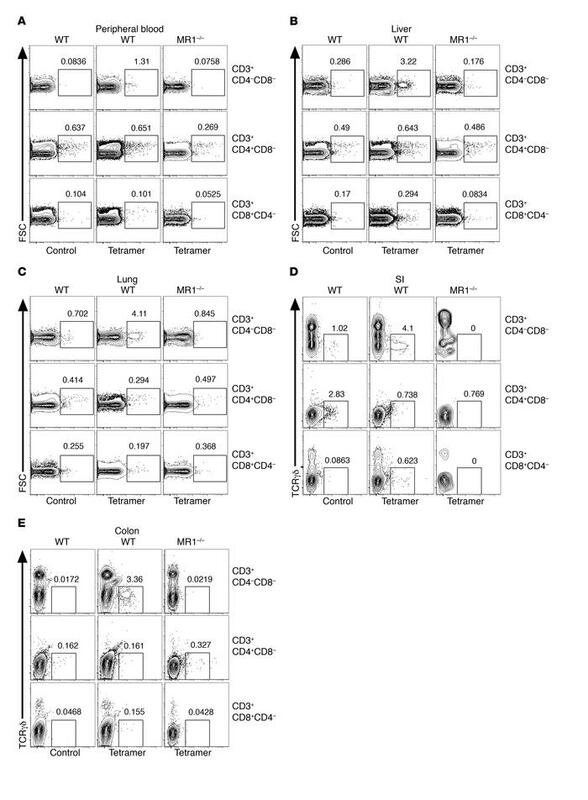 Lymphocytes from naive mouse peripheral blood (A), liver (B), lung (C), SI (D), and colon (E) were stained with the MR1 tetramer (5-OP-RU) or control tetramer (6-FP) and analyzed by flow cytometry. Gates were set based on the control tetramer and cells from MR1–/– mice. Mouse MAIT cells were defined as CD3+. Representative dot plots are shown.